Achieving something small can feel like having climbed this. You know how sometimes, you know the progress is happening, only it’s too slow to see it on a day-to-day basis? And then suddenly you look up and some major threshold has been crossed? 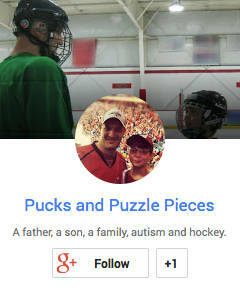 Ryan has achieved many milestones through hockey. To just get on the ice he had to learn to tolerate the helmet on his head and the skates on his feet, two obstacles that kept the sport behind a locked gate for several years. With that motivation, the helmet and skates went on without a complaint. Next he had to learn to put all the equipment on, in the proper order, threading and fastening and tying and taping and tightening. A set of hockey gear, which consists of a cup, two shin pads, two long hockey socks, a pair of bulky padded pants, two elbow pads, shoulder pads, two gloves, a jersey, and a helmet, is a veritable Mt. Midoriyama of an obstacle course for a kid with fine motor and manual dexterity challenges. At first I had to help with all of it. That was fine because most kids his age still required assistance. As time went on, I tried to get to the rink a few minutes earlier than necessary to give Ryan more time to work on getting dressed himself. I still accompanied him to the dressing room to help when needed. But I realized that as soon as I reached down to help, his hands would fall to his sides as he just let me take over. Still, he made progress, a little at a time. He mastered the order. He mastered most of the straps. 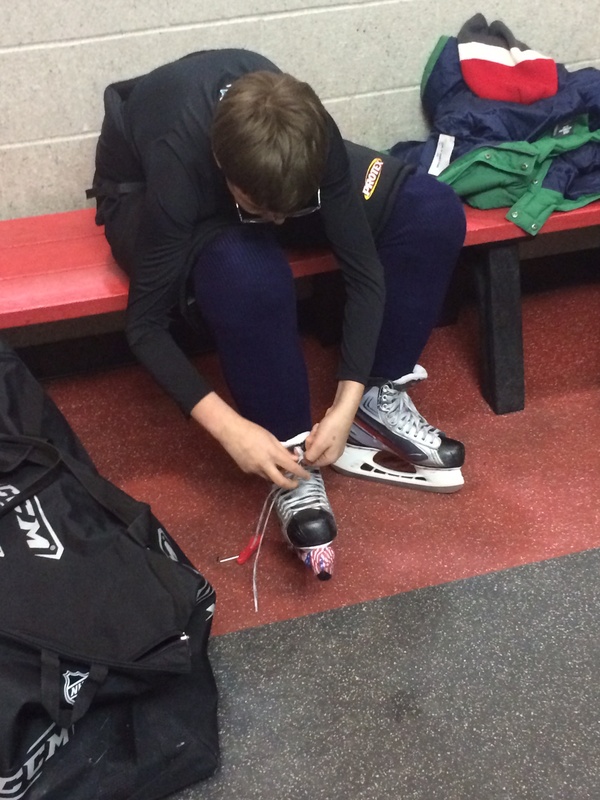 By his first year of peewee, he could do everything but tie his skates, tape his socks, and buckle his helmet. By that age, fewer and fewer parents were in the locker room. I encouraged Ryan to become more independent. I saw him into the room, then disappeared for 10 or 15 minutes to let him get all the pads on, reappearing at the end to help with the skates. Oh, the skates. I worried about those skates. I didn’t know how he would master them. Learning to tie shoes was a years-delayed process for Ryan. But skates? With their stiff boots, laces to be threaded through eyelets, and the need to pull them very tight? It seemed beyond his reach. This year, Ryan and I devised a plan where he could sneak out of the locker to allow me to properly tighten them after he had done his best. Then, one practice one of his teammates noticed and poked fun at him (even if other kids sometimes needed help). This bothered Ryan, and in response he tried harder. He got closer to tying them well enough himself. He even insisted on going out on the ice on them a few times as I stood nervously by the glass and watched his ankles wobble on too-loose boots. I couldn’t take it. I summoned him over and properly tightened them. He continued to improve. I let him tie them himself for public skating sessions, figuring it was less critical to have them properly tight there as opposed to at hockey practice. Tuesday night, I took Ryan to hockey practice. 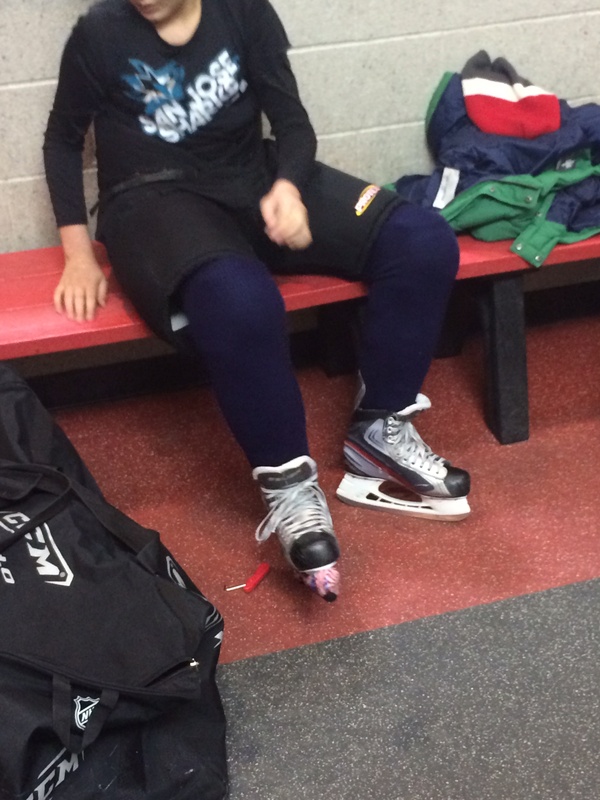 The locker room wasn’t open so he started getting dressed in the rink lobby. I sat across from him and watched closely as he set about tying the skates. What I observed was remarkable, at least if you knew what went into it. Gone was the half-hearted effort. Gone were the requests for help. He threaded the laces through the eyelets with precision. He pulled them tight, then grabbed the skate hook I bought him and started at the bottom row, tightening one row at a time — just as I had shown him countless times, each time wondering if the directions were sinking in. Since I was sitting across from him, and none of his teammates were around, I knelt to inspect his work. The left skate needed a bit of tightening. The right skate? It was perfectly tied. I handed him his equipment bag and sent him off to the dressing room that was now open. As he walked away, I called after him. And just like that, another milestone was achieved. Another tiny step towards independence. This one gained, painstakingly, one row of laces at a time, years in the making. Because I was so close to it, I didn’t realize what was happening. 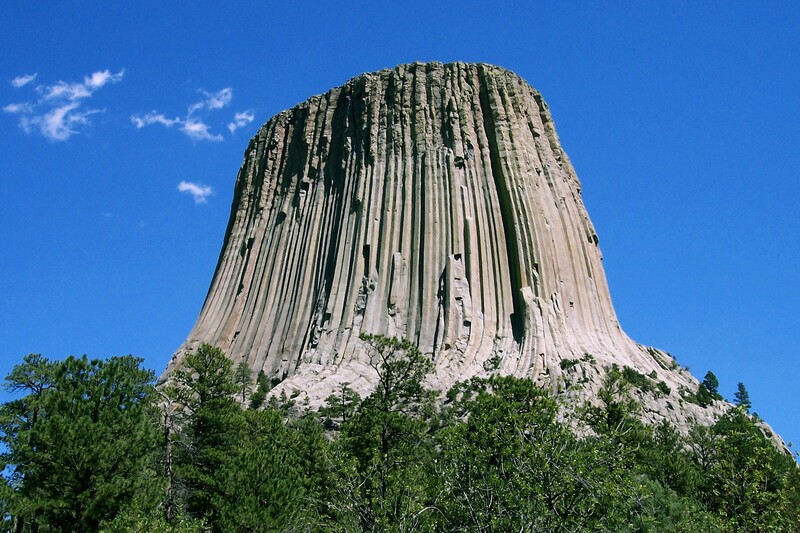 Like a rock climber on Devils Tower, Ryan has pulled himself upwards, one hard-won inch at a time. How long has he been on this climb? That was the day we took Ryan and Riley ice skating for the first time. The first tiny step in a journey that has now reached five years, two months and thirteen days in the making. For me, it’s a reminder of two things. One, to never doubt my kid. Two, to always remember that his timetables are his and his alone. Given time, and support, he can do just about anything. A job well done, five years and more in the making. So huge!!! I’m proud of him. That is wonderful!! Way to go, Ryan! And he has on the Sharks, too! He is a trooper! Never giving up is something many people never learn. Hats off to Ryan!